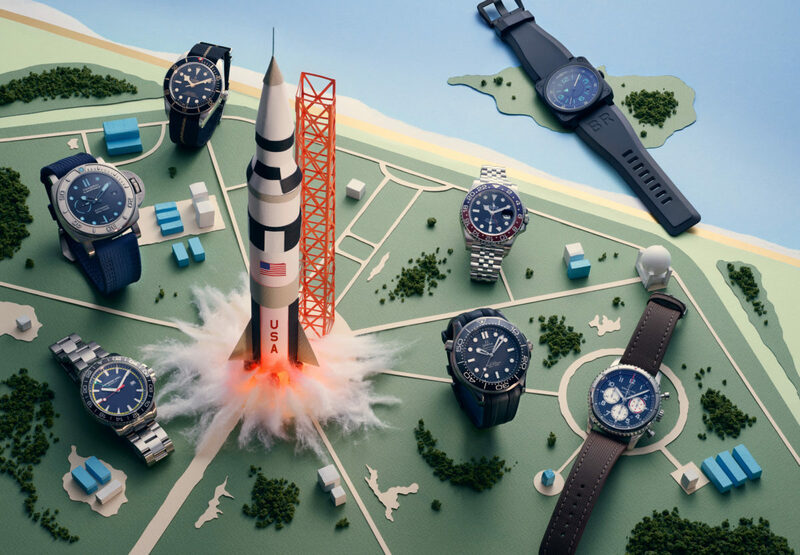 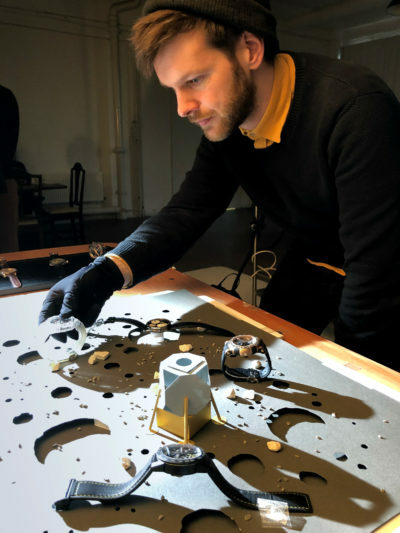 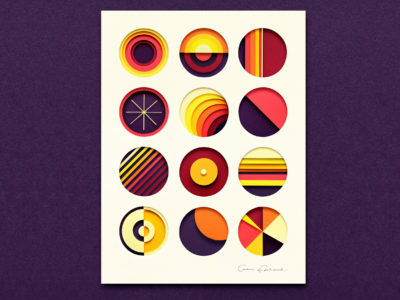 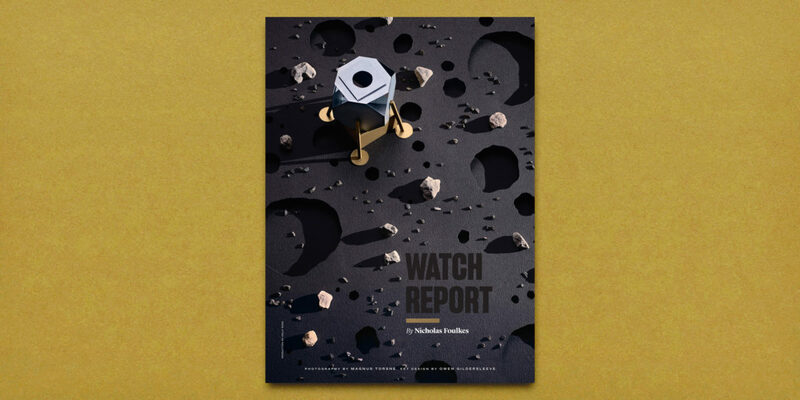 After the success of our Aviation Watch Report series for Vanity Fair, we were delighted to be invited back to create the sets for the latest edition, celebrating the 50th anniversary of Apollo 11's landing on the moon. 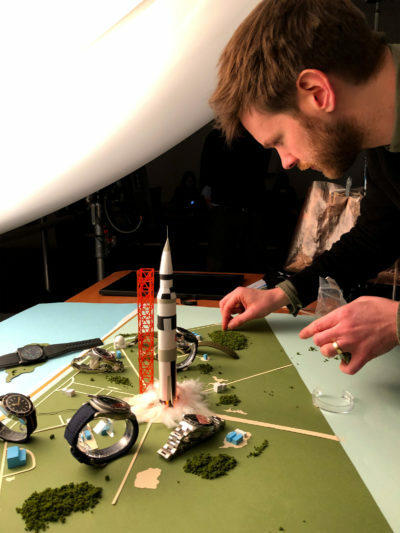 For this series we teamed up with the amazing Magnus Torsne, and together with Creative Director Scott Moore we set out to push the set designs one step further, aiming to reflect the excitement and awe of the Apollo 11 mission. 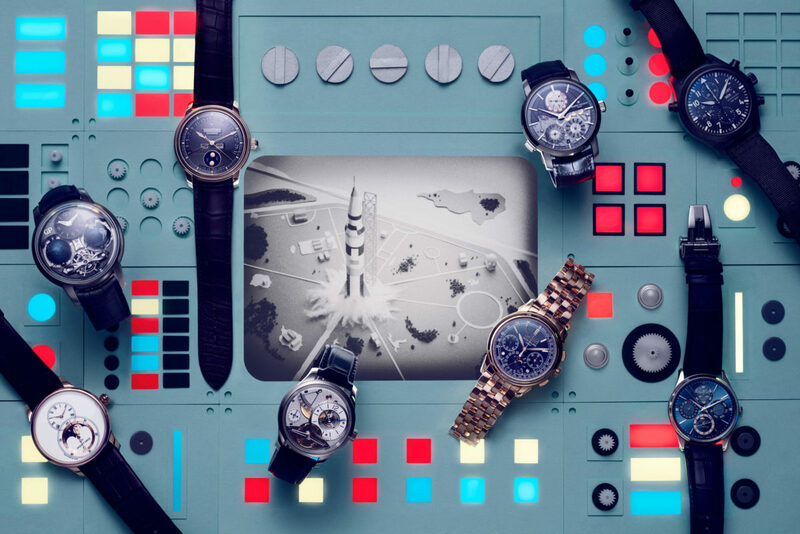 Inspired by archive footage from the Apollo 11 mission the sets recreate one of the most exciting journeys humankind has ever taken, with the watches placed at the iconic launch, across the panels of the control centre, entering the stratosphere and finally at the landing itself. 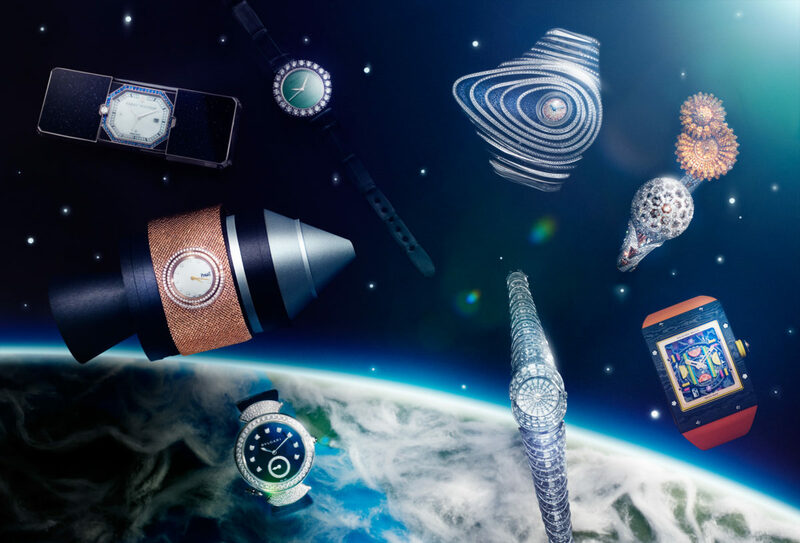 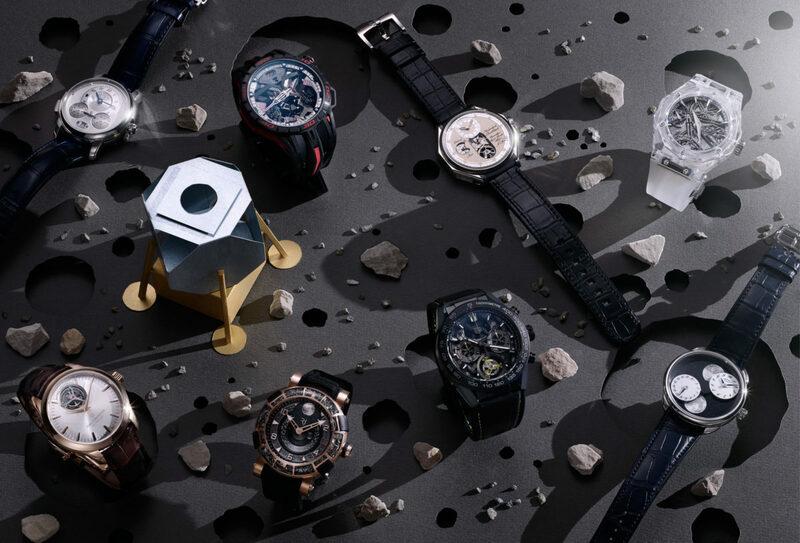 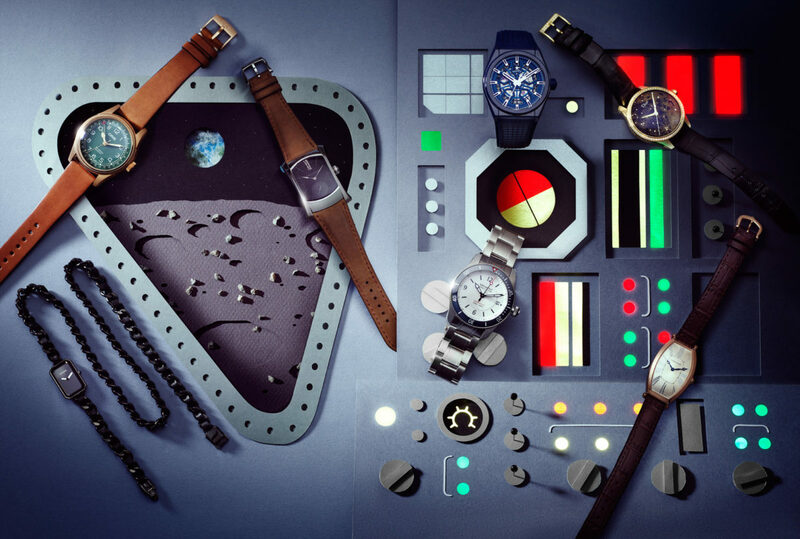 Retro designs, mysterious moon rocks and galactic colours pair beautifully with the watches, showing off their unique designs and beautiful engineering.